Expanding from two sewing machines with five associates to global operations with 4,700 associates worldwide, Carhartt continues to “outwork them all.” The iconic brand has been growing since 1889, carrying on the legacy of founder Hamilton Carhartt. Although the company is famous for its high-quality garments, their continued success goes far beyond workwear. As a 129-year-old company, Carhartt has truly stood the test of time. They’ve adapted as the world transformed through the era of steam and steel to today’s advancing technology. Leadership that was focused on their associates’ success steered Carhartt through cultural and organizational change, all while maintaining a family-oriented and pro-team culture. With a new president and new talent entering the organization in 2013, Carhartt began to experience a cultural shift. They realized that although the business was thriving, they lacked the alignment at the leadership level that would keep the company moving forward and uphold the Carhartt legacy. As the organization grew, there was a push to cultivate a legacy of effective leadership to shape the future of the company. Steve Dion and The Droste Group, a global leadership and organizational development consulting firm, had been working with Carhartt to deliver leadership coaching, pre-hire assessments, and other culture transformation projects for leaders within the company. To get their leaders on the same page, Carhartt expanded one-on-one coaching to emphasize leadership. 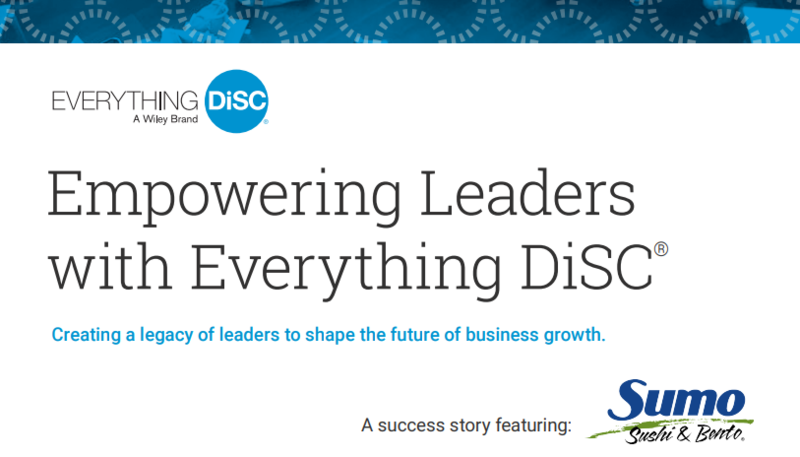 After exploring several leadership models, Carhartt implemented Everything DiSC Work of Leaders® into the organization. 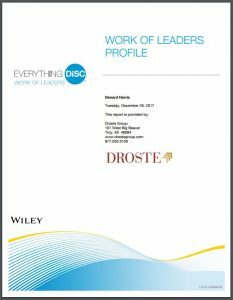 As an Everything DiSC® Authorized Partner and exclusive provider of this powerful workplace solution, The Droste Group worked with Carhartt to create a custom leadership development program rooted in the Work of Leaders. 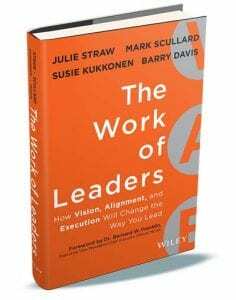 This solution focuses on improving leadership skills by providing leaders with the framework of creating a Vision, building Alignment, and championing Execution to effectively lead a group toward desired outcomes. Based on a four-year development effort with the help of 300 subject matter experts from more than 150 organizations, the Work of Leaders program offers a strong foundation of leadership best practices for leaders of any level. Carhartt’s leadership program became one of the company’s largest investments in employee development. With expertise from the Droste Group, Carhartt developed a robust, cohort-based program that directly connected the model of Vision, Alignment, and Execution to strategic initiatives and real-work projects, making it easy for participants to actively apply their knowledge in real time. “What happens outside the training is just as important as what happens within,” said Chuck Jozwiak, Director of Talent Management. The time between each module was critical to the learning process. Leaders put what they learned into practice and discovered areas where they needed to adjust and clarify their understanding of the Work of Leaders. Skeptics soon turned into Work of Leaders ambassadors without even realizing it. The common language became a seamless part of their daily interactions. Leaders began to adjust their behaviors to match the task at hand, such as exchanging perspectives when building alignment was necessary. “When someone uses the language unprovoked, it just gets stronger. Our next step is how we continue to foster it,” said Foote. “The content speaks for itself. I attended the class as someone who grumbled about three days without my phone and laptop. Instead, I left with lasting friendships. We all became vulnerable, and in turn, better as a result,” said William Hardy, Senior Vice President of Supply Chain. To get a sense of what The Work of Leaders has to offer, we invite you to read some excerpts from the book that this program was based on. This will give you an idea of how we approached our goal of creating a framework of leadership that is accessible and actionable for everyone, not just CEOs and executives. You’ll be introduced to the cornerstone principles of The Work of Leaders. 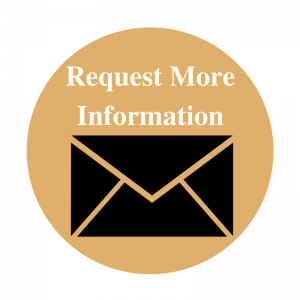 Research-validated, online assessment. 23-page leader-specific profile report provides detailed context-specific feedback based on the three-step Vision, Alignment, and Execution Model and the three drivers associated with each step. Strong visuals and illustrations, including 18 behavioral continua, delve deep into what steps leaders can take to increase the behaviors linked to the essential best practices of leadership.